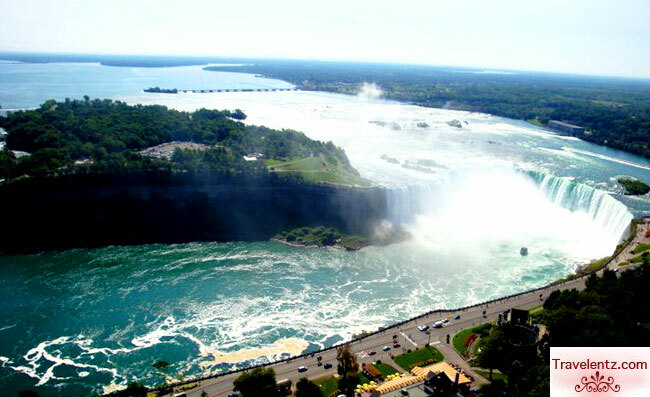 the falls in the left side is called-American Falls and the right side is called-Canadian"Horseshoe" Falls. Both Falls are impressive and unique. 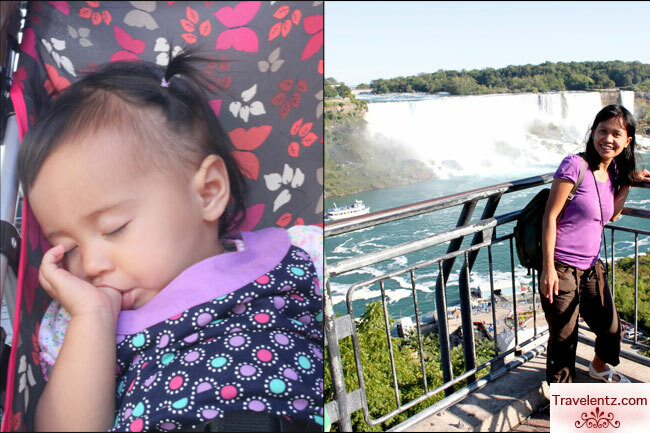 We spent our family weekends with my in-laws in Niagara Falls, Canada last year. We drove 4 hours and we're in Niagara Falls, Canada. My family is always been there, since then,I'm the only one that never been there, so hubby wants to show me the Niagara Falls and met my classmate in College, friends and my "kumare" at the same time.My friend "I" lives in Toronto, but we decided to met in Niagara Falls so it is easy for my family especially for "little M" . If my memory is still good she's 45 minutes away from Niagara. We planned this getaway so I can met my friend "kumare" and see the impressive falls at the same time. Well, I don't regret the Falls is impressive in day light and evening. Fireworks was scheduled that night around 10:00 p.m. and the weather was perfect. My in-laws was a big help for us, we did the Maid of the Mist tour with my hubby and Journey behind the falls tour with hubby and "I" as they watched "little M''. We decided not to brought "little M" in the tours because of the mist and probably she cried, and my in-laws volunteered to be watched her.Good thing to have an understanding in-laws. 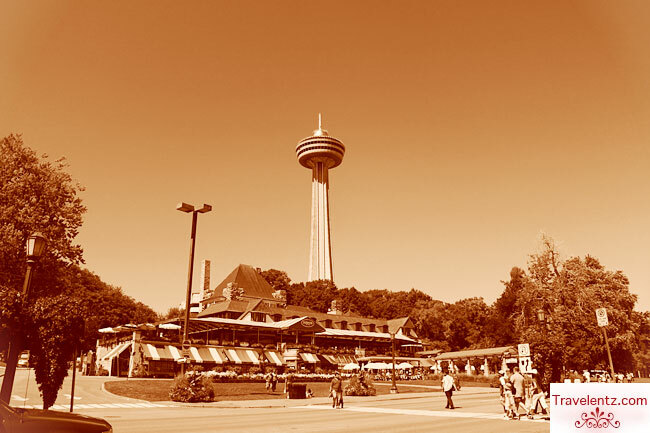 Skylon Tower- will give yo a chance to see the Niagara Falls.It has a restaurants and observation deck.You have to pay to ride to the top, but if you have to dine in, it's free to ride to the top. The Falls is free if you just want to see it in any side but you have to pay for the tours.I'll be honest, I want still to go back here, 5 years from now,"little M'' is old enough and she remembers and there's a lot things to do with kids in Ontario aside from falls and the tours. the view of Horseshoe Falls,taken from the top of Skylon tower during lunch time. you know what, whenever I go to Niagara, I can't help but be amazed and praise God for such awesome creation. no matter how many times I've been there, I simply can't help but be awed like the first time. you should go back there and do the tours. the maid of the mist is a must. actually, i have a Niagara post in queue in my blog already, i hope you check it out when i publish it ^^ happiness indeed to be able to see and visit places like Niagara! 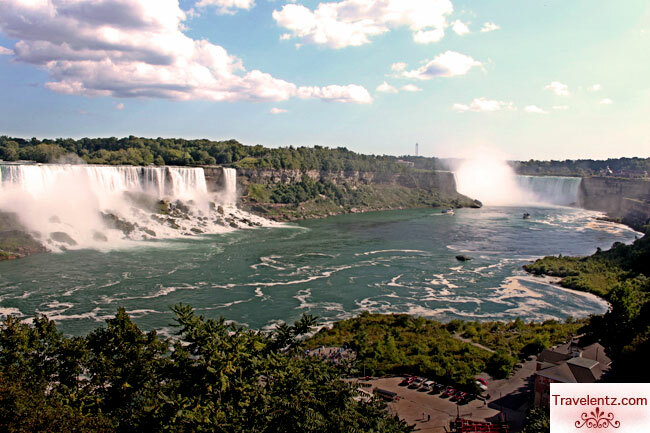 We live about an hour from Niagara Falls - it's a fabulous family destination! You should definitely return with your daughter when she's a bit older. My favorite place in the US - fabulous!